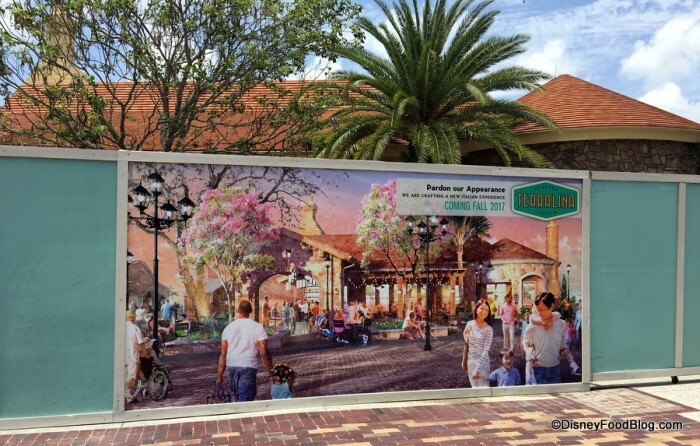 Terralina Crafted Italian is opening June 28 at Disney Springs! The restaurant features a newly-installed veranda overlooking Riverboat Square where guests can dine al fresco. Terralina Crafted Italian will be open for lunch and dinner. Advance Dining Reservations are available for dates starting July 30 on the Disney World website (but those dates may change once the restaurant opens this week).